Maptek came out with their new version today. I think it was today. At least, I got it in the mail today. The letter attached to it was dated the 14th and I have been hearing that it will come out 'soon' for weeks (maybe months). I guess that today is the 'official' day. There is a press release on their website announcing the release on November 20th. There is a new look to the packaging and the splash screen. The wider space for the working directories is great but other than that it isn't any more helpful. Useful changes for this release include an expanded color palette and the new rapid pit phase design tool. The color palette changes have been a long time coming. I remember promising clients a new color palette in 2005 when I first started working in tech services for Maptek. I don't know who thought that 32 colors would be plenty for CAD design but he was one upped by the 'genius' who assigned the first two colors as white for using the plot all wizard and the last two colors as white for plotting with the plot all wizard. It seems logical that everyone would hate a 28 tile color palette but I have heard people at Maptek argue in favor of a changeable color palette. Mostly this was a color blind engineer who couldn't see all the colors but it looks like someone has finally put their foot down. Congratulations on improving this fundamental part of the software. The rapid pit phase design has been in production for a long time. It was a joint development with Barrick Gold that started in 2006. 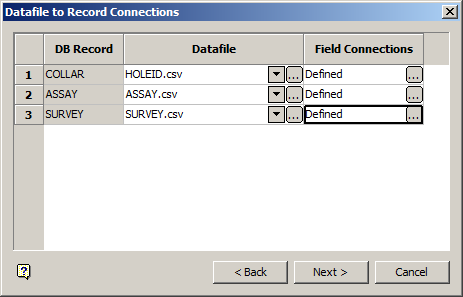 I remember a talk at the 2007 Maptek users' conference that talked about the tool like it was a done deal. Well, it's finally out. I like the idea of a faster way to do pit design but I haven't had a chance to explore it yet. I look forward to spending more time with this tool in coming weeks. if they would have renovated the splash screen and packaging at least they should have improved how the buttons look, its been like that ever since vulcan 4 came out. not that its really important or has any effect on its functionality but at least it gives out a new fresh look. Im tired of looking at the retro look of the buttons. I think it is important how the buttons and icons look on $50,000 graphic design software. The kicker here is that improving the design of the background look is something that is a lot easier than a lot of the critical computing that the software already does. 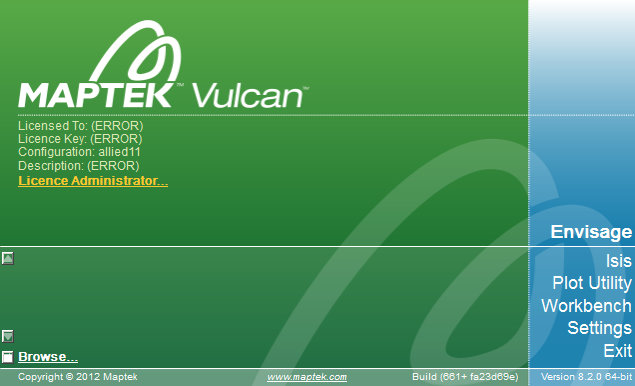 Maptek has really missed an opportunity to get a big bang for their buck in the graphical look of Vulcan software.